Dr Carroll completed his doctorate in Neuroscience at the University of Queensland in 2001. He was awarded an Isaac Walton Killam Memorial Scholarship to pursue postdoctoral studies at the University of Alberta in 2002, before accepting a position as a Lecturer in Human Motor Control at the University of New South Wales in 2003. He joined the School of Human Movement Studies as a Senior Lecturer in July 2007. Dr Carroll’s research interests lie in the broad field of integrative human physiology. His work spans the fields of exercise science and integrative neuroscience, with a focus on determining how the central nervous system is reorganised as a consequence of motor learning and exercise. He has a specific interest in the area of strength training. 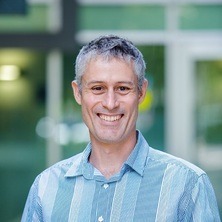 Dr Carroll’s research involves the application of electro-physiological techniques such as Transcranial Magnetic Stimulation (TMS), peripheral nerve stimulation, and electromyography (EMG) in experiments involving human subjects. The ultimate purpose of his work is to generate basic knowledge that will lead to the development of exercise protocols that yield maximal benefits for rehabilitation and injury prevention. His work has been funded by the Australian Research Council (ARC) since 2004. A common sub-cortical system for human eye and limb control? Rossi, Anthony and Carroll, Timothy (2013). Ongoing adaptation as a feature of complexity: further thoughts and possible ideas for pedagogy in physical activity. In Alan Ovens, Tim Hopper and Joy Butler (Ed. ), Complexity thinking in physical education: reframing curriculum, pedagogy and research (pp. 79-92) Abingdon, Oxon, United Kingdom: Routledge. Are muscle synergies useful for neural control? Shahbazpour, N., Carroll, T. J., Riek, S. and Carson, R. G. (2004) Early alterations in serum creatine kinase and total cholesterol following high intensity eccentric muscle actions. Journal of Sports Medicine And Physical Fitness, 44 2: 193-199. Carroll, T., Riek, S. and Carson, R. G. (2001) Corticospinal responses to resistance training revealed by transcranial magnetic stimulation. Exercise and Sports Sciences Reviews, 29 54-59.
de Rugy, A. and Carroll, T.J. (2009). Adaptation to a visuomotor rotation alters the directional tuning of muscles, but not corticospinal excitability. In: 2009 Neuroscience Meeting Planner. Neuroscience 2009, Chicago, IL, (np). 17-21 October, 2009. Carroll, T.J., Lee, M., Hinder, M.R. and Gandevia, S.C. (2008). Cortical mechanisms underlying cross-limb transfer of ballistic motor skill revealed by repetitive transcranial magnetic stimulation. In: J. Greg Anson, Proceedings of the 26th International Australasian Winter Conference on Brain Research 2008. 26th International Australasian Winter Conference on Brain Research, Dunedin, NZ, (65). August, 2008. Sidhu, S.K., Bentley, D.J. and Carroll, T.J. (2008). Long lasting impairments in the capacity of the human motor cortex to voluntarily activate knee extensor muscles following cycling exercise. In: J. Greg Anson, Proceedings of the 26th International Australasian Winter Conference on Brain Research 2008. 26th International Australasian Winter Conference on Brain Research, Dunedin, NZ, (66). August, 2008.
de Rugy, A., Riek, S., Oytam, Y., Carroll, T. J. and Carson, R. G. (2007). Do preferred patterns of coordination in rhythmic multijoint arm movement result from optimal use of bifunctional muscles. In: Neuroscience meeting planner, San Diego Convention Centre, (1-1). 7th November 2007. De Rugy, A., Riek, S., Oytam, Y., Carroll, T. J. and Carson, R. G. (2007). Do preferred patterns of coordination in rhythmic multijpoint arm movement result from optimal use of bifunctional muscles. In: Society for Neuroscience Abstracts. Society for Neuroscience Annual Meeting, San Diego, CA, (). 3-7 November, 2007. Lee, M., Gandevia, S. C. and Carroll, T. J. (2007). Measurement of Neural Drive During Voluntary Efforts With Transcranial Magnetic Stimulation is Insensitive to Inadvertent Activation of the Antagonist Muscles (Abstract of oral presentation). In: J. Greg Anson, Proceedings of the 25th International Australasian Winter Conference on Brain Research 2007, volume 25. International Australasian Winter Conference on Brain Research, Queenstown, New Zealand, (). 25-29 August 2007. Carroll, T., Lee, M., Barton, J. and Janssen, I. (2007). Short-term strength training does not alter force-frequency properties of human skeletal muscle. In: Ridding, M. and Gandevia, S., IBRO World Congress of Neuroscience Handbook and Abstracts. "Motor Control at the Top End" 2007 IBRO World Congress of Neuroscience Satellite Meeting, Darwin, (67). 18-21 July, 2007. Lee, M., Sayde, J., Hsu, M., Barton, J., Gandevia, S. C. and Carroll, T. J. (2006). Cortical Voluntary Drive to Wrist Extensors Measured with Transcranial Magnetic Stimulation. In: Proceedings of the 24th International Australasian Winter Conference on Brain Research 2006. 24th International Australasian Winter Conference on Brain Research, Copthorne Resort Hotel, Queenstown, New Zealand, (). 26-30 August 2006. Carroll, T. J., Lee, M. and Sayde, J. (2006). Corticospinal mechanism underlying cross-limb transfer of learning: Implications for the contralateral strength traning effect. In: Angus Burnett, David Bishop and Anthony Meade, Proceedings of the 2nd Australian Association for Exercise and Sports Science Conference and the 4th Sports Dietitians Australia Update : From Research to Practice II. AAESS 2006: From Research to Practice, Sydney, N.S.W., (43-43). 28 September - 1 October 2006. Barton, J. S., Lee, M., Hsu, M., Gandevia, S. C. and Carroll, T. J. (2006). Effects of resistance training for the human wrist in EMG and force responses to transcranial magnetic stimulation. In: Proceedings of the Australian Neuroscience Society. ANS 2006, Sydney, (137-137). 2006. Lee, M., Barton, J. S., Hsu, M., Gandevia, S. C. and Carroll, T. J. (2006). Effects of resistance training for the human wrist on voluntary activation estimated by motor cortical and peripheral nerve stimulation. In: Proceedings of the Australian Neuroscience Society 26th Annual Meeting. Australian Neuroscience Society 26th Annual Meeting, Sydney, (27). 27-30 January 2006. Klimstra, M. D., Johnson, E. A., Carroll, T. J. and Zehr, E. P. (2006). Effects of rhythmic leg movement on coricospinal tract excitability and H-reflex modulation in a forearm muscle. In: Abstracts of the Society for Neuroscience. Society for Neuroscience Annual Meeting 2006, Atlanta, Georgia, (557.14). 14-18 October 2006. Hundza, S. R., Collins, D., Carroll, T. J., Webb, J., Murray, H. and Zehr, E. P. (2005). Cutaneous reflex modulation during rhythmic, static and discrete arm tasks. In: International Society for Neuroscience Meeting, Washington DC, (). 12-16 November 2005. Carroll, T. J. and Lee, M. (2005). Task Dependence of Renshaw Cell Inhibition From Wrist Flexors and Extensors in Humans. In: Proceedings of Australian Neuroscience Society. Annual Conference of the Australian Neuroscience Society, Perth, Western Australia, Australia, (101). 2005. Lee, M. and Carroll, T. J. (2005). Variations in Mmax amplitude during different muscle contractions in human wrist flexors. In: P. Martin, Proceedings of the Australian Neuroscience Society 25th Annual Meeting. Australian Neuroscience Society 25th Annual Meeting, Perth, Western Australia, (101-101). 30 January - 2 February, 2005. Baldwin, E.R.L., Carroll, T.J., Zehr, E.P. and Collins, D.F. (2004). Modulation of activity in corticospinal pathways to human forearm muscles during arm cycling. In: Proceeding of the Canadian Physiological Society and RB Stein Symposium. Canadian Physiological Society - Winter meeting 2004, Silver Star Ski resort, Vernon BC, (22). 28 January - 1 February 2004. Carroll, T. J., Baldwin, E. R. L. and Collins, D. F. (2004). Task dependence of muscle activity and reflex function in human wrist flexors and extensors. In: Proceedings of the Australian Neuroscience Society 2004. 24th Annual Meeting of the Australian-Neuroscience-Society, Melbourne, (102). 27-30 January 2004. Frigon, A., Carroll, T. J., Zehr, E. P., Jones, K. E. and Collins, D. F. (2003). Mmax is up to four times larger at short muscle lengths than long lengths in human soleus and tibialis anterior muscles. In: Society for Neuroscience Abstracts: International Society for Neuroscience Meeting. International Society for Neuroscience Meeting, New Orleans, USA, (17). 8-12 November 2003. Carroll, T. J., Riek, S. and Carson, R. G. (2003). The sites of neural adaptation to resistance training revealed by transcranial stimulation. In: E. Muller, E. Schwameder, G. Zallinger and V. Fastenbauer, Book of Abstracts of the 8th Annual Congress of the European College of Sport Science. Neuronal Mechanisms in Strength and Power Training, Salzburg, Austria, (181-181). 9-12 July, 2003. Carroll, T., Riek, S. and Carson, R. G. (2001). Reliability of indices of cortico-spinal excitability obtained from transcranial electric and magnetic stimulation. In: P. Pilowsky, Proceedings of the 21st Annual Meeting of the Australian Society for Neuroscience. , Brisbane, (227-227). 28-31 January, 2001. Carroll, T., Riek, S. and Carson, R. G. (2001). Resistance training alters the functional properties of the cortico-spinal pathway. In: Conference Committee, 2001 International Symposium of the International Union of Physiological Sciences Programme and Abstracts. Movement and Sensation, Cairns, Qld, (108-108). 3-6 September, 2001. Barry, B., Carroll, T., Sternad, D., Riek, S. and Carson, R. G. (2000). Cognitive and musculo-skeletal constraints on perception-action coupling: Wachholder revisited. In: Programme and Book of Abstracts. 5th Biennial Motor Control and Human Skill Research Workshop, Surfers Paradise, (48). 27-30 January 2000. Barry, B., Carroll, T., Carson, R. G. and Riek, S. (2000). The influence of resistance training on manual co-ordination. In: 2000 Pre-Olympic Congress Book of Abstracts: 2000 Pre-Olympic congress : International Congress on Sport Science, Sports Medicine and Physical Education. 2000 Pre-Olympic congress : International Congress on Sport Science, Sports Medicine and Physical Education, Brisbane, Australia, (323-323). 7-12 September 2000. Barry, B., Carroll, T., Carson, R. G. and Riek, S. (2000). The influence of resistance training upon manual coordination. In: Programme and Book of Abstracts: 5th Biennial Motor Control and Human Skill Research Workshop. 5th Biennial Motor Control and Human Skill Research Workshop, Surfers Paradise, (53-53). 27-30 January 2000. Barry, B., Carroll, T., Carson, R. G. and Riek, S. (2000). The influence of resistance training upon manual coordination. In: Society for Neuroscience Abstracts: 30th Annual Meeting of the Society for Neuroscience. 30th Annual Meeting of the Society for Neuroscience, New Orleans, Louisiana, USA, (464-464). 4-9 November 2000. Data for "Pushing attention to one side: force field adaptation alters neural correlates of orienting and disengagement of spatial attention." Carroll, T. (2001). The neuromuscular responses to resistance training PhD Thesis, School of Human Movement Studies, The University of Queensland. Brain mechanisms of learning in visually-guided movement.